Naval commander McHale has left the service and set-up shop on Caribbean island, which supplies his former mates at a military base nearby with everything. The base is now commanded by hard-headed Capt. Binghampton and island governor has a deal with a terrorist to use the island as base. McHale gets back into his crew when his arch-enemy Major Vladikov sets up an operation to destroy the island. Retired Lieutenant Commander Quinton McHale spends his days puttering around the Caribbean in the old PT-73 selling homebrew, ice cream, and swimsuit calendars. He's brought out of retirement when his old nemesis turned the second best terrorist in the world, Major Vladikov, takes over the island of San Moreno and starts building a nuclear launch silo on it. 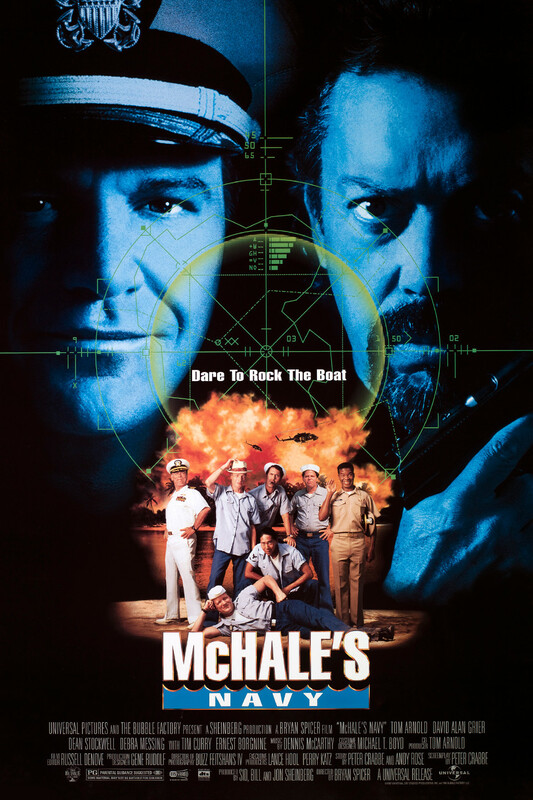 With help from his old crew and hindrances from Captain Wallace B. Binghampton, who sank a cruise liner a while back, McHale tries to put Vladikov out of business. God! This was bad! It is absoloutley how bad this movie was. Studios threw out $42 million on this, where they out of thier skull? My god.. Avoid this mess at all costs. Please. You will be a smarter person if you avoid. This movie was aired on Comedy Central. I had no intent of actually paying to rent this trash. Buzz Fiethans IV didn't even shoot the movie well. Bryan Spycer's direction is completely listless. You have if you wasted a couple of hours of your life in this moronic jibberish , with a cast that makes you say oh dear and the "comic talents" of Mr Arnold (less said about this galoot the better) you have a pretty good idea of whats on the cards. Its just the most moronic pile of poo that I have seen in a very long time. It made me feel dirty, sink this turkey , if you do buy a copy do the world a favor and burn it, at least there would be one less copy of this left on our planet This shotgun marriage of coarse laughs and low-rent action cliches is, of course, utterly predictable: Cutting-edge comedy isn't lurking under the corpses of old TV shows.